Pablo Cuevas, 33-year-old Uruguayan player who holds the 92nd position in the ATP Ranking Pablo Cuevas is a player with great quality great level of tennis especially on clay soil where it feels like fish in the water. It has a lot of quality in the preparation of the points in the bottom of the court and tactically is a smart player. Caves at the start of the season did not stand out much, but had to compete in the hard courts. Here came to beat the home player, Facundo Bagnis by double 6-4. Quite solid display of Pablo Cuevas who came right here. Malek Jaziri, a 35-year-old Tunisian player who ranks 43rd in the ATP Ranking. Malek Jaziri is an experienced tennis player, a player who likes to play on clay, where he has always done his best. 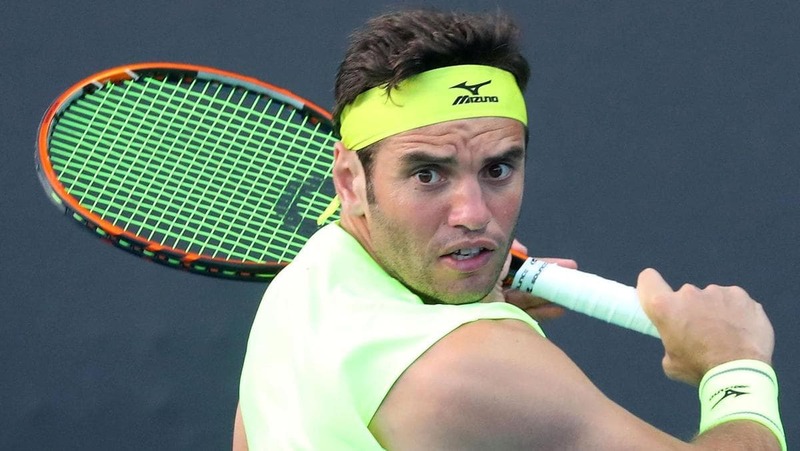 Jaziri is a player who likes to play in the back of the court and has a more patient tennis. This Tunisian had a very good season in 2018 and so is within the TOP 50. At the beginning of the season did not stand out much and lost the last 3 games. Here he had a hard battle in the first round, was on the verge of losing, but beat Carlos Berlocq in 3 sets. Pablo Cuevas is a stronger tennis player, has more quality and the rankings here are misleading. Pablo Cuevas had a very irregular season of 2018 but I believe that this year will be shown at a stronger level. I liked his performance in the first round of this tournament against a southpaw, dangerous on clay. Even I think and perspective less difficulties in this encounter because Cuevas is more confident after his good performance in the first round and here has a good game to win and in 2 sets. He knows he can do something interesting in this tournament and hopefully so a good win for Cuevas in 2 sets.